The Cabinet meeting commenced at 8.30 a.m. today and continued for around one hour. 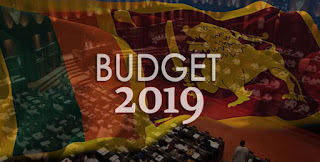 The 2019 Budget proposal is to be presented to the Parliament by Finance Minister Mangala Samaraweera later today (5). Minister Vajira Abeywardena said that this budget proposal will provide a number of benefits and concessions to public sector employees, retired persons and the general public. The Second Reading of the Budget will commence at 2.00 p.m. today and the debate is slated to continue for 6 days until March 12th. The Third Reading of the Appropriation Bill or the Committee Stage Debate will be held on March 13th and continue until April 5th.